May Group Break Sign-Ups Are LIVE!!!! 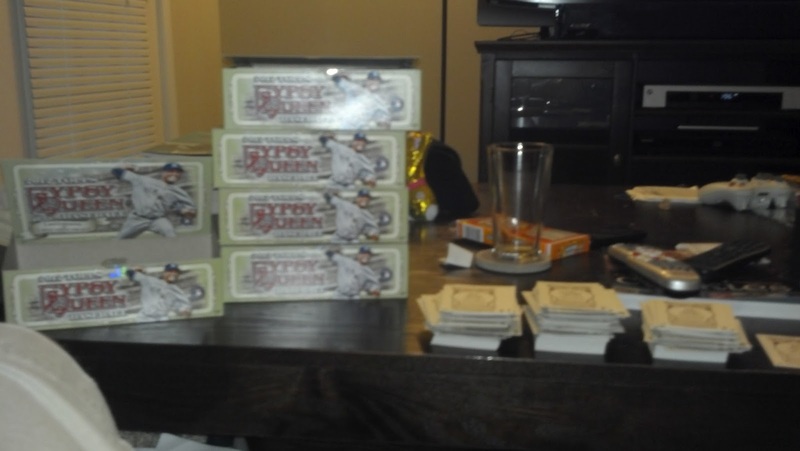 3 Boxes of 2012 Product! 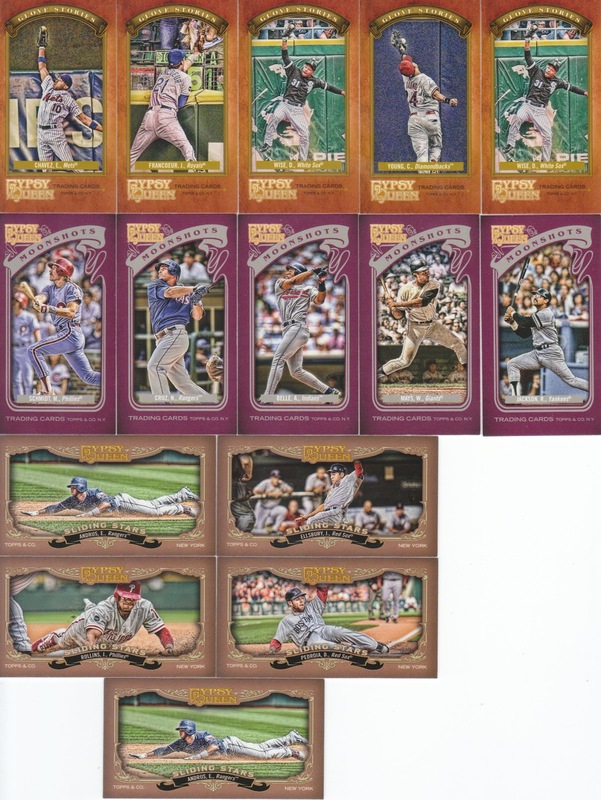 Hey everyone, it's that time of the month... well, not THAT time, but it's Group Break time!!!! I've got three great products from Topps for this break... all hobby boxes... and a big thanks to Atlanta Sports Cards for their sponsorship of this break! 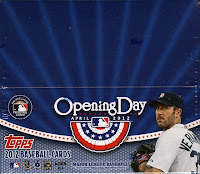 1) 2012 Topps Opening Day - Hobby Box - 36 packs; 7 cards per pack. 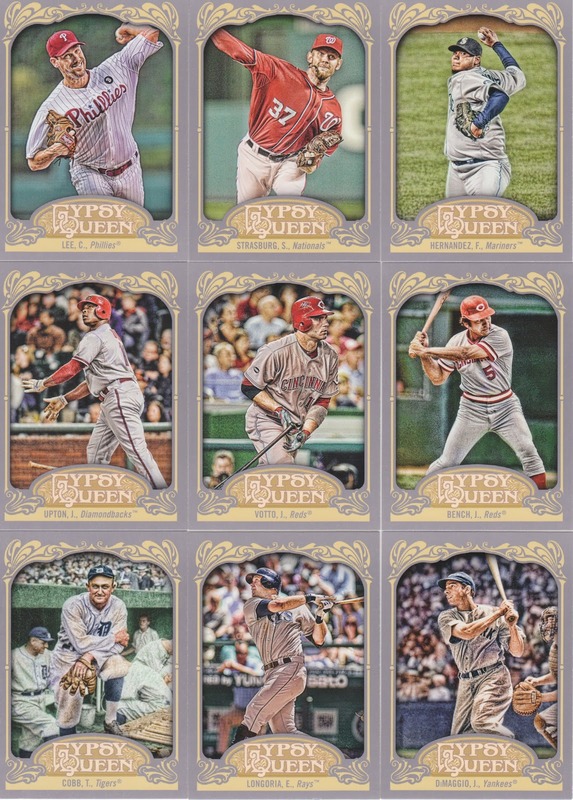 Lots of fun cards in this product, I threw this one in just for the fun of it! 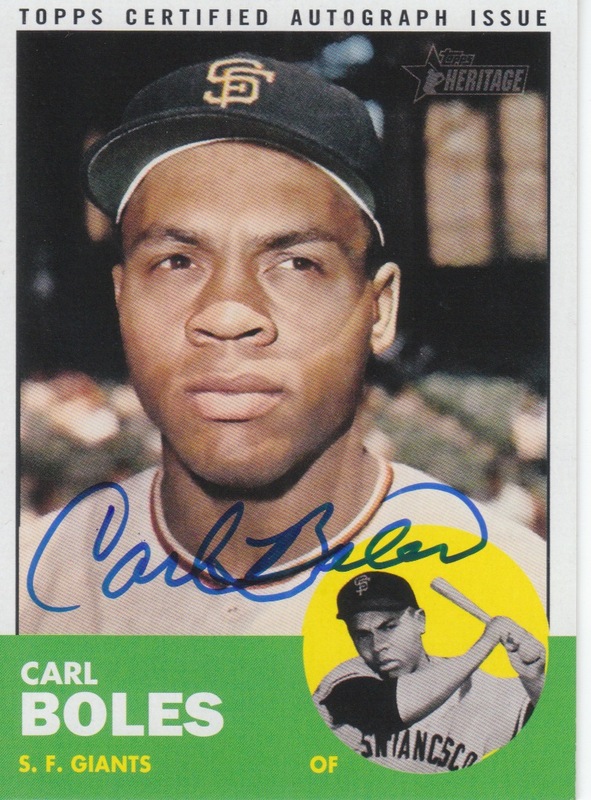 A very remote chance at an auto, but nothing guaranteed. 2) 2012 Topps Heritage - Hobby Box - 24 Packs; 7 cards per pack; box loader - One auto or relic guaranteed per box. 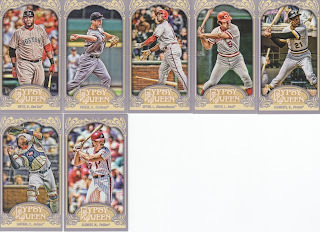 A popular set with lots of variations, SP's and great hits. 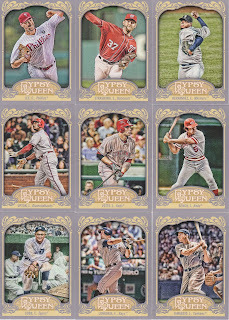 3) 2012 Topps Gypsy Queen - Hobby Box - 24 packs; 10 cards per pack (1 mini) - 10 card mini box - Of course I couldn't do a break without GQ being involved. 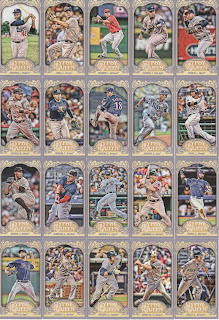 You've seen great cards from this set on this blog! 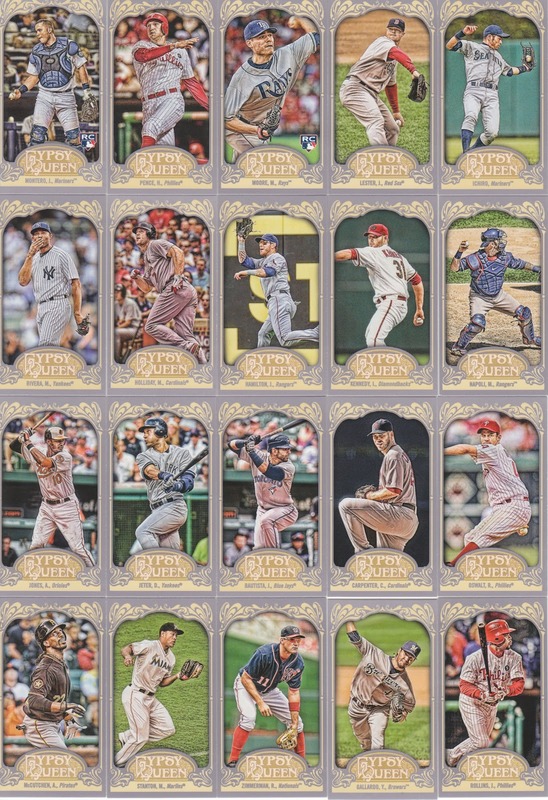 In my opinion this is another "home run" by Topps (although I would say the autograph and relic checklist is a bit too long compared to last year) but there are great cards available. 4 hits guaranteed and a good chance at bonus hits with lots of printing plates and new this year are autographs available in the mini's boxes which are exclusive to the hobby boxes. 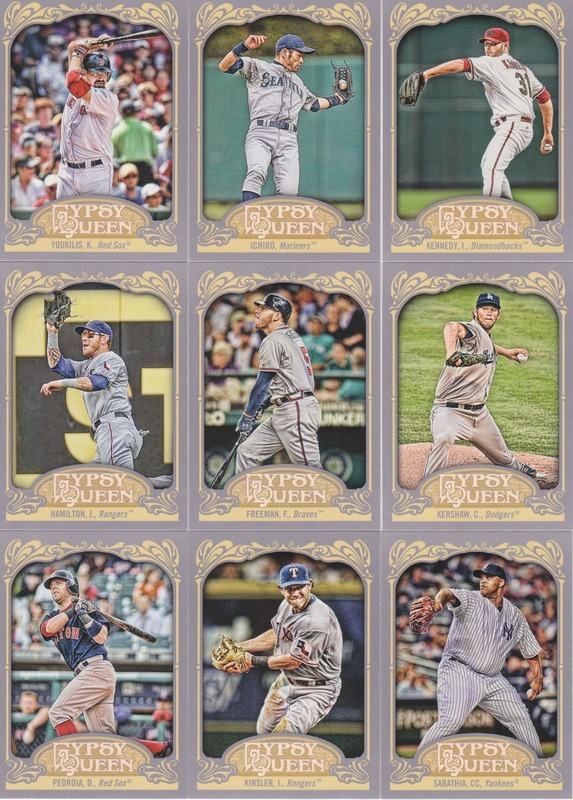 Alright, I'm not going to take the Astros this time around, as I already have most of their cards from these sets and will probably trade with whoever gets them as their second randomized team if no one buys them outright. 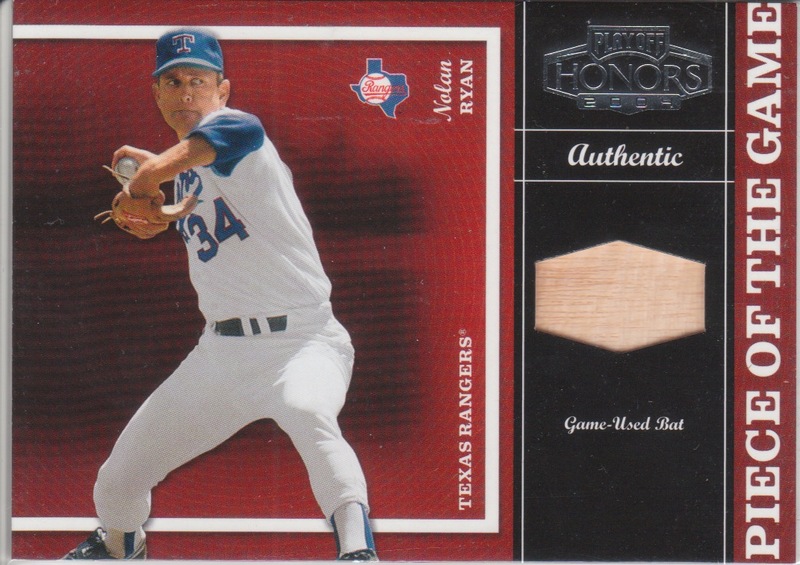 I have decided to take the Rangers, as I really want a chance at the Darvish base variation. Sign-ups are first come, first serve... $15 per 2-team slot, as usual one team is your selection, the second team is randomized to you. If you want two slots, that'll be $28. If you want more than 2 slots, e-mail me for a quote. As always, please make payments to my paypal account: samuelpair AT yahoo.com as a GIFT. Alright, here are the teams... sign up via the comments. 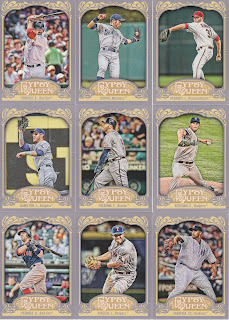 If this fills up within 24 hours, I'll throw in one blaster of 2012 Gypsy Queen as well. You all have until 8:35pm tomorrow, May 1st to get this break filled! 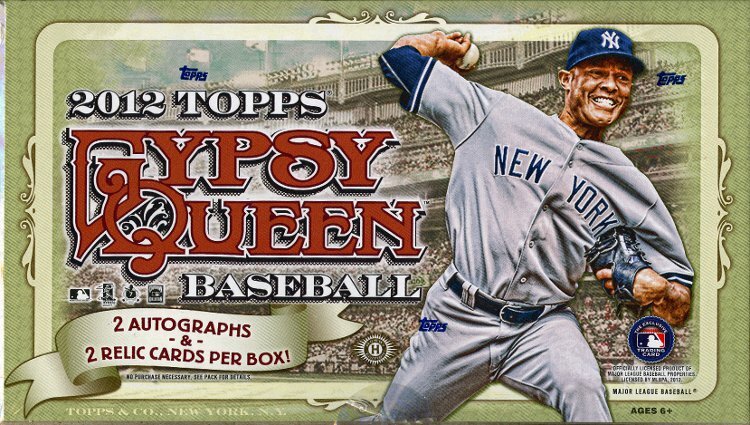 Gypsy Queen... with MAJOR MAJOR MAJOR MOJO!!!!!!!!! Brett Anderson? 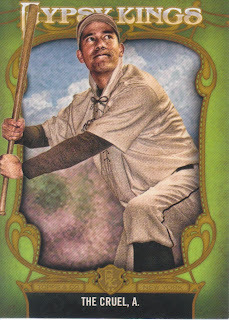 Ok Topps, stop with the crappy A's pitchers... geez... Heyward is a nice relic, and didn't Avila make an All-Star team???? I could not believe it... I opened these in the store, and when I pulled this out there were fist bumps and hand shakes all around!!!! FREAKIN' SWEET!!!!!!!!!!!!!! Thanks to all who helped put my set together! 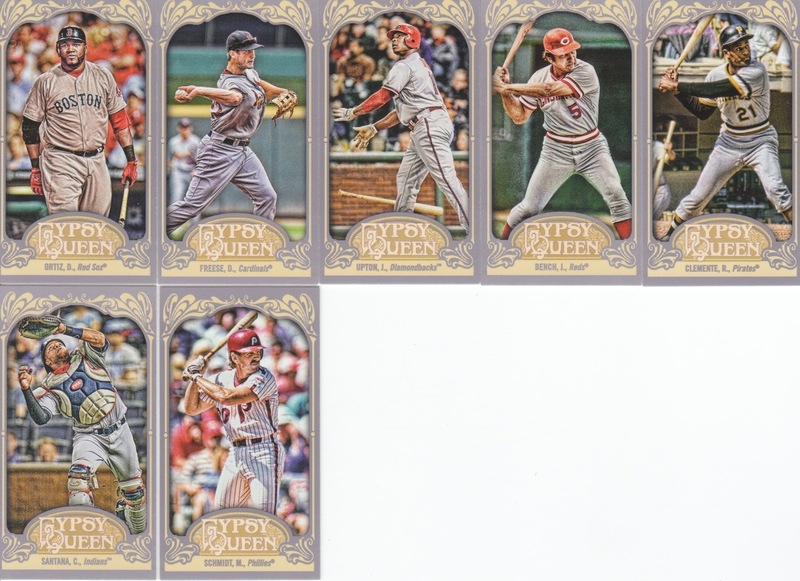 It kills me to watch this Brooks Robinson go out the door, but it's well worth it considering I was able to put the gold border set together complete... I know I have 1 of only 999 possible sets!!! I secretly wished BA Benny would have won one of the prizes... I miss his blog and maybe this would have spurred his glorious return to the blog-o-sphere... I haven't heard from him in a while... Mike, if you're out there, let us know you're alright. My posting has been a bit sporadic lately. I'm having to leave for work earlier so that has severely cut down my blogging time unfortunately! But I'm still here and will be trying to catch up soon on trade proposals and the like! 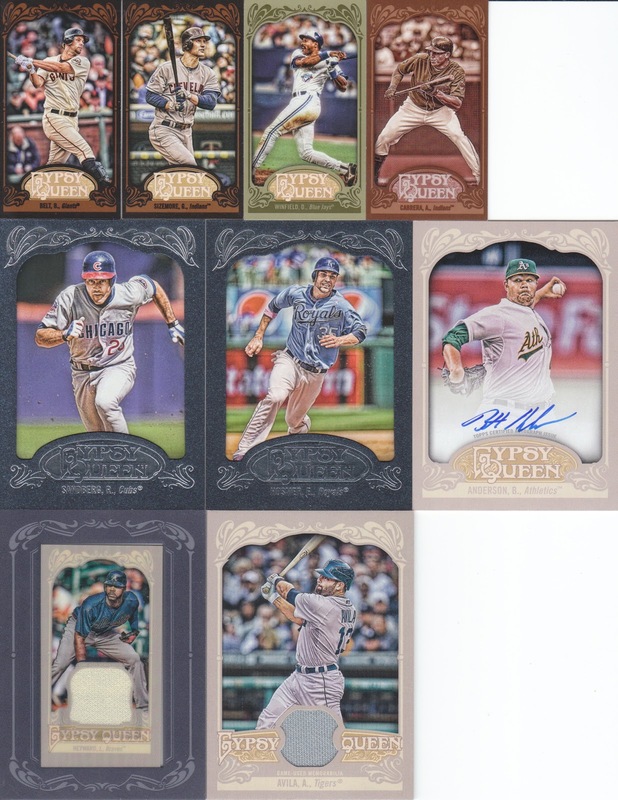 1) Group break participants... packages still haven't been mailed, I'm working on getting those out tomorrow. 3) TheBrooklynMet - still working on finding a replacement prize for the Tri City Sports PL disaster/contest. I've got 5 cards from your GQ 2011 Want list (4, 18, 46, 247 and SF10) but am trying to think of something else to send. Apparently I'm going to be just as slow as TCSPL on this, but hopefully your reward will be much better from me than them. Hopefully things will settle down a bit after today and I can also get back to regular baseball card posts as well... oh and how about my Houston Texans???? 4 prime time games and Thanksgiving against the Lions... going to be a great year! 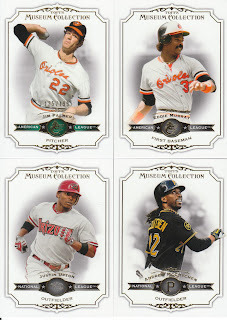 Thanks to Baseball Card Exchange!!!!! Hey everyone! 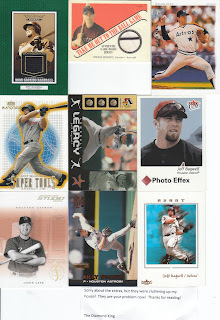 Another box, another plug for Baseball Card Exchange!!! Thanks guys! Another big thank you to Baseball Card Exchange for the break! A big thanks to Baseball Card Exchange for sponsoring the break! Click the link to check out their page! Here's the video! Scans after the page break!!!! Group break boxes have arrived at the apartment per my lovely wife! Busting shall commence tonight!!! Stay tuned! 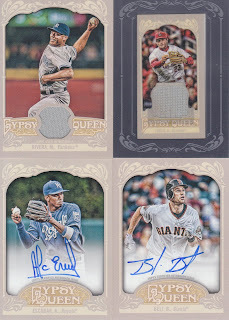 Some more great cards! The Morgan is a "card your mother threw out" insert from Topps. Don't know if I have another Rod Carew card in my collection at all! Sadowski I had never heard of, sad I know... wow, bad pun alert.... Blasingame I'm semi familar with and of course I know Don Wilson, first no hitter in Astros history. Sad story there if you ever need some reading material. My two non-astros hits. Both for trade if anyone needs/wants them! And here we have what lured me into the break to begin with!!!!! 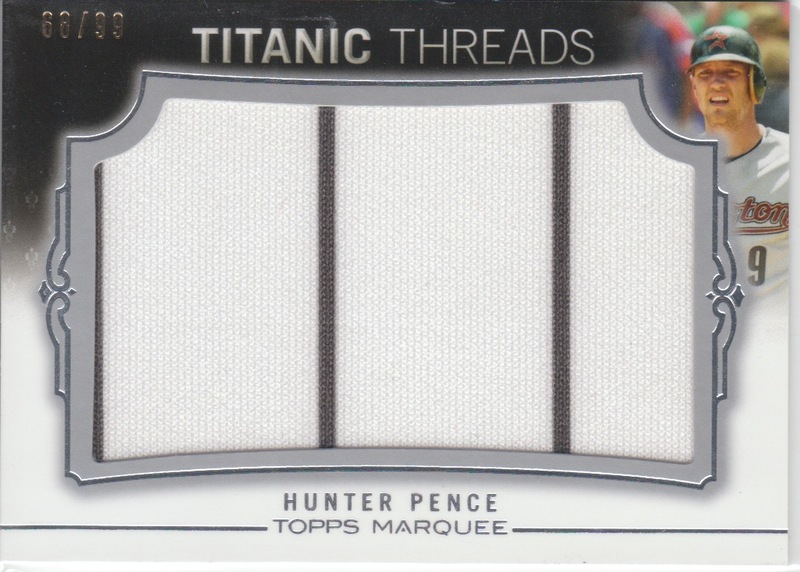 From 2011 Marquee, a GREAT swatch (and probably one of the last Astros Pence hits available) from Hunter Pence, a guy I'll always root for just because of the way he plays the game! Thanks Wes, you held a GREAT DRAFT!!!!!!! 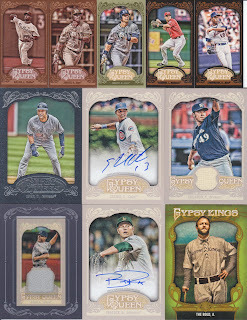 I did get a delivery confirmation number yesterday on the group break boxes. Unfortunately, they aren't slated to get here until tomorrow! But that means I should be able to do a video per night to get us through Sunday and then get the cards out Monday morning! 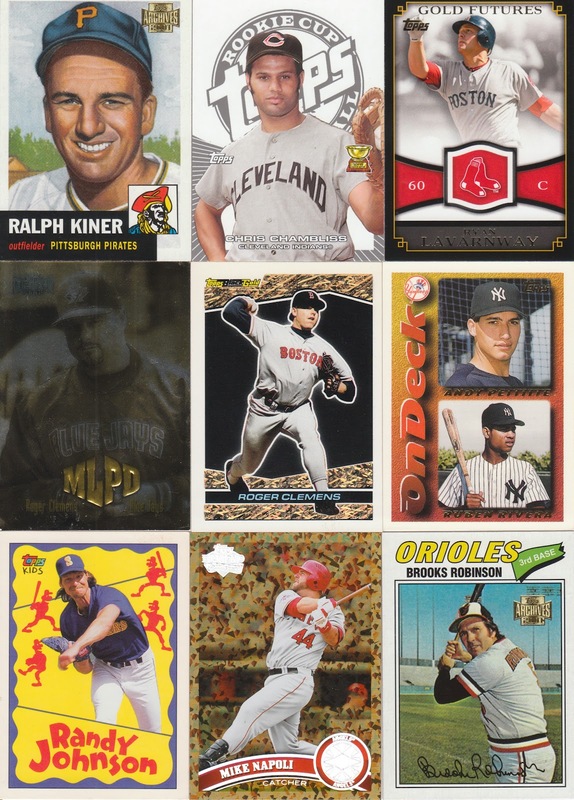 The Palmer is my parallel for the pack! 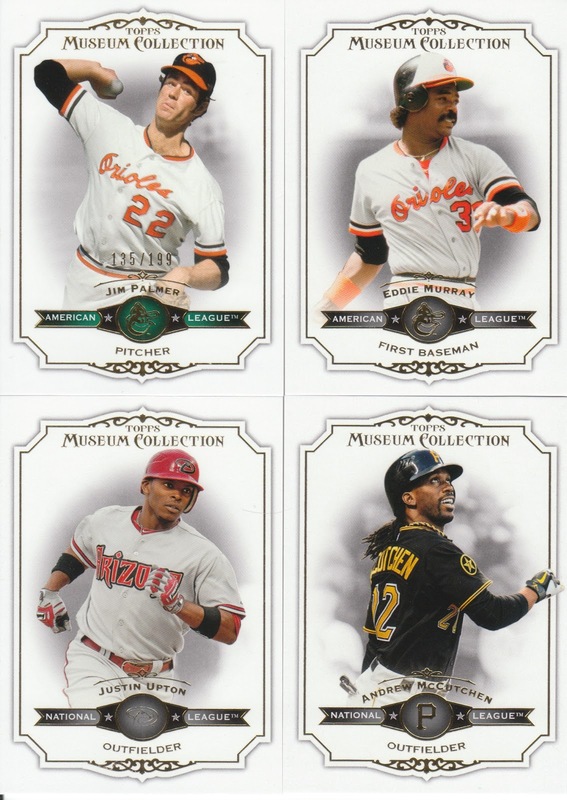 Apparently they thought I'd really like the Orioles for this pack! Haha! 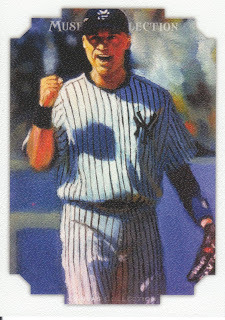 A great insert hit, a Jeter Canvas Collection card! Awesome looking card, brings me back to the days of UD Masterpieces! 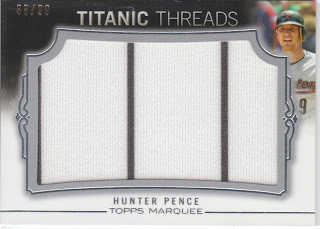 Great job Topps! 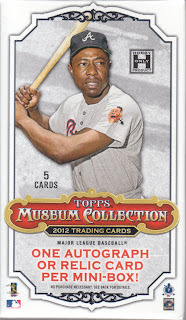 And now for my hit of the pack!!!! 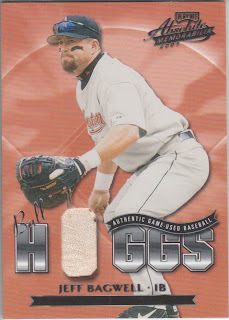 It is awesome... it is numbered /10.... it is both a PATCH and an AUTOGRAPH... it's major MOJO people!!!!!! 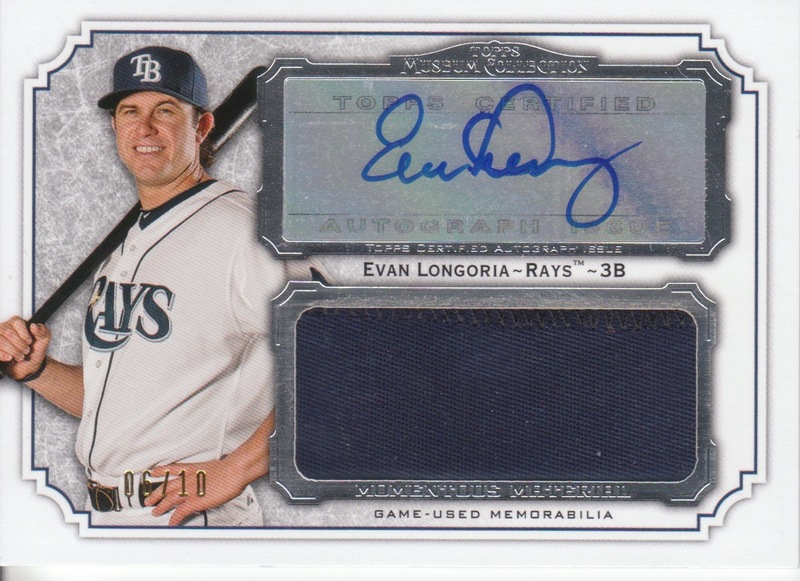 Yes, that is a huge chunk of patch in the bottom window... assuming it's from one of his jersey numbers are the straight side of the R in Rays. It's ridiculously awesome. 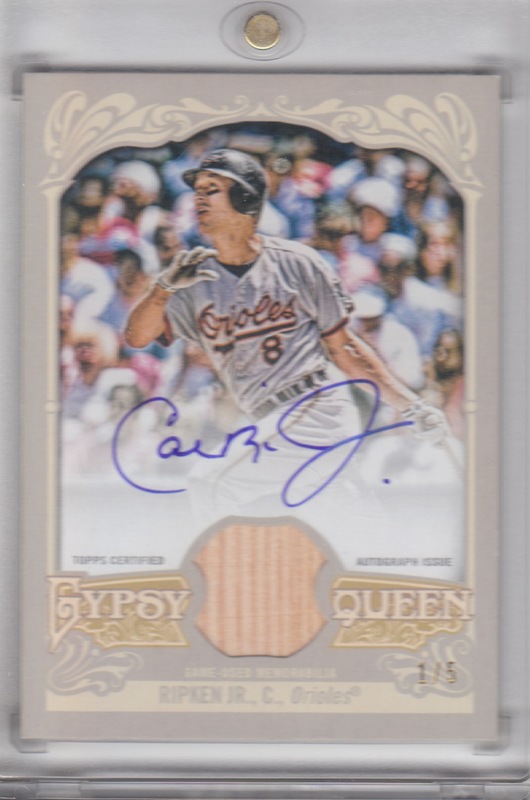 #06/10 and even though it IS a sticker auto, it's framed nicely enough that it's not blatantly obvious enough to ruin the look of the card! OOoooooo would you look at that piece of Cano jersey??? 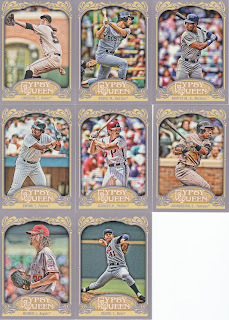 Dirty as all get out... Yanks, Sox, Braves and Phills... #'ed 18/75. Another great job by Topps on this one. Quality jersey swatches for sure. I think the Utley is either dirty or something as well, as it's a bit yellower than the Pedroia swatch. 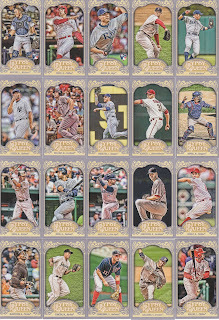 Anyways, great looking cards. 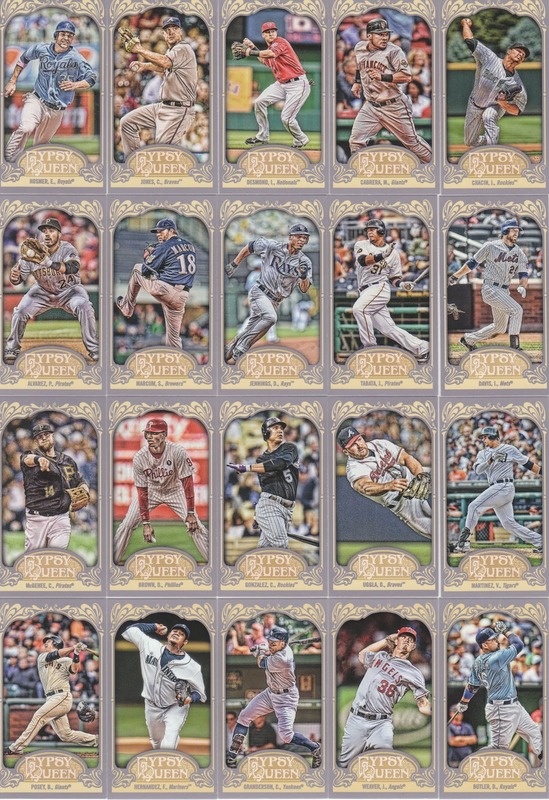 At this point, I personally consider Museum Collection a better value than Tribute as far as for the guys and girls out there collecting for their team and in hope of something awesome. 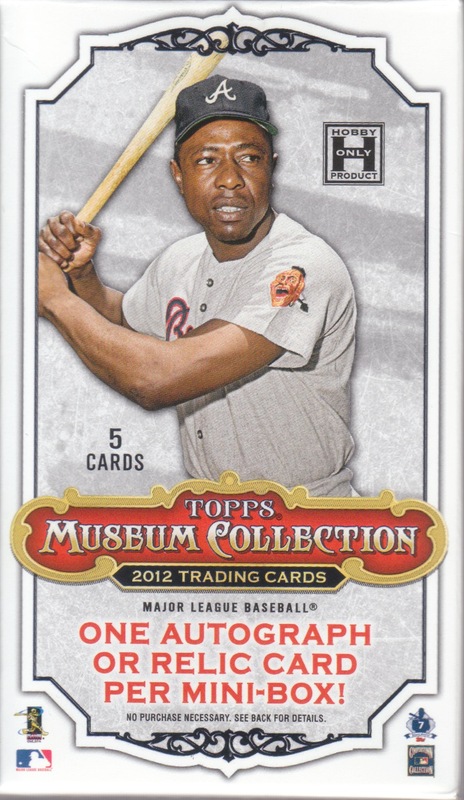 And after watching one guy throw down $2,000 on Tribute last night, I'll stick with a pack of Museum Collection now and again! Colbey over at Cardboard Collections does a great thing: Affordable Group Breaks; where you get 2 teams for usually right around $10 or less. For March, I snagged my Astros and ended up with the Reds as my second random. The Bagwell is a tin from 1997 Topps Screenplays. 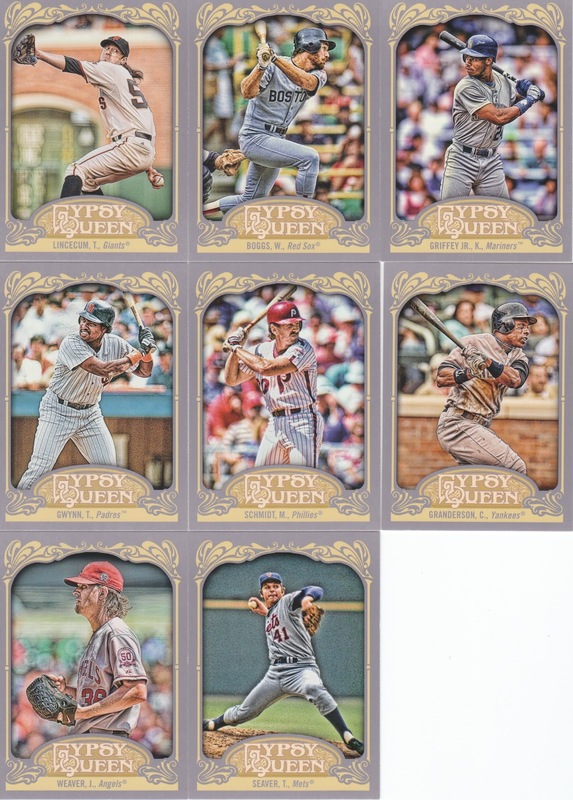 The card inside is a bit like a Sportsflix card from the 80's but is much thicker and the "action" in the card is much easier to make out. 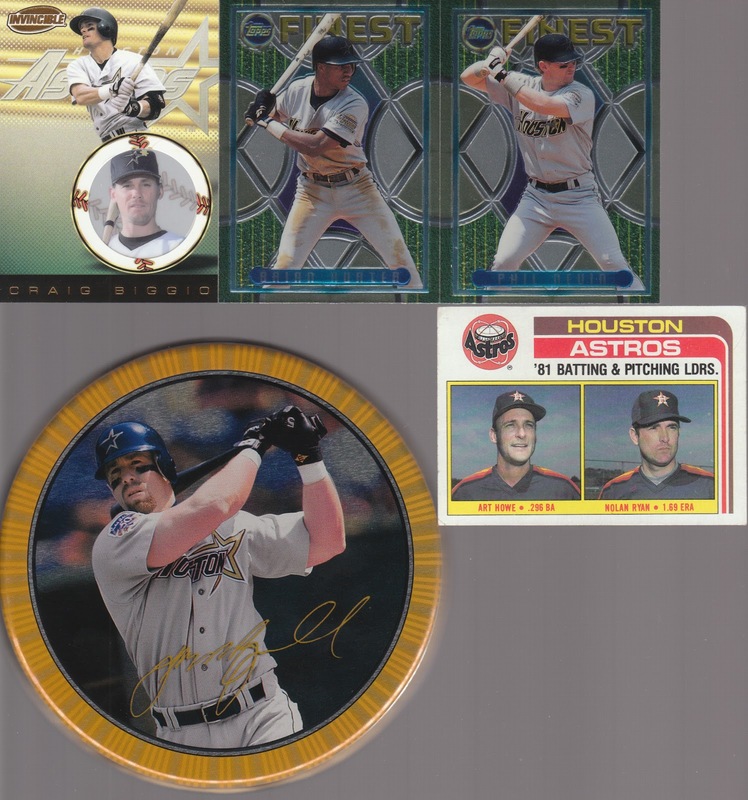 There weren't really any Reds cards that made me excited enough to scan, but with the Astros I got in this break, not only was this affordable, it was awesome. 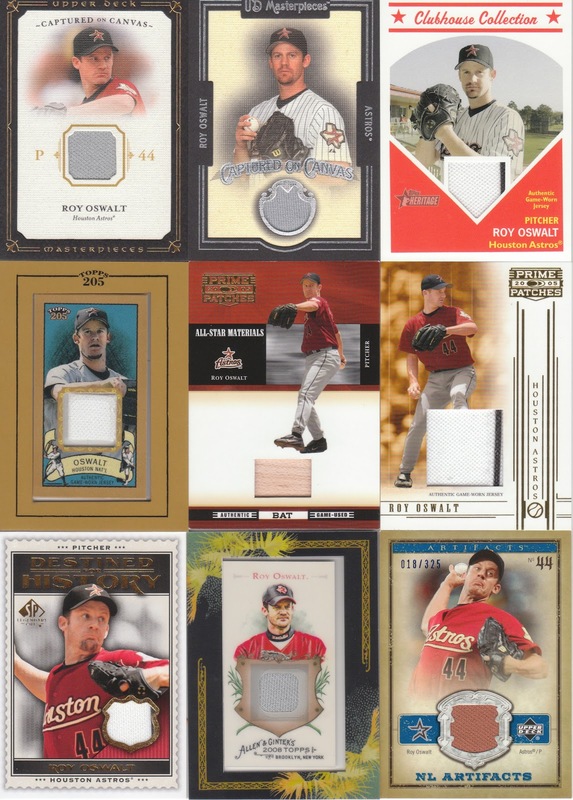 Heck, the Bagwell tin & card are cool enough to justify joining the break. Now I just have to figure out how to store this tin! Haha! Dimwit Group Break boxes were ordered last night. Again, hopefully they'll be here Monday or Tuesday and I'll start posting videos then!!!! Alright, jaybarkerfan took up his 3rd spot and the 15th & final spot overall! Thanks Wes! Trade away in the comments. I'll get the boxes ordered here shortly so hopefully we can start busting ASAP! Still need payment from Hiflew. No rush, just an FYI! I know several of you were waiting for pay day Friday to pay, and that's fine. Thanks! Again, you guys are all awesome... I consider it a joy that I fill these breaks usually within 24 hours and don't have to drag this out or anything! It's been a long time since I've had to cancel a break or have it painfully drag along waiting for 1 or two more people to seal it up. Thanks for your loyalty and joining in on busting some cards. 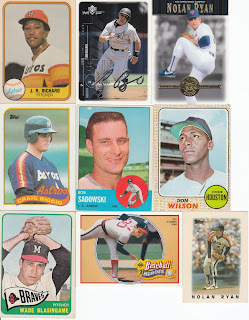 It really does reel in my desire to bust cards for myself all the time, and gives me the chance to bust some products I missed during my collecting hiatus! 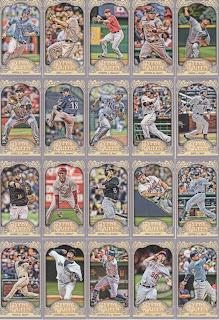 April 2012 Group Break Announcement! CLAIM YOUR TEAM NOW! - WE ARE FULL!!!!!!!!!! It's going to be $17 for 2 teams (one your selection, the other randomly assigned), so sign up early and often. 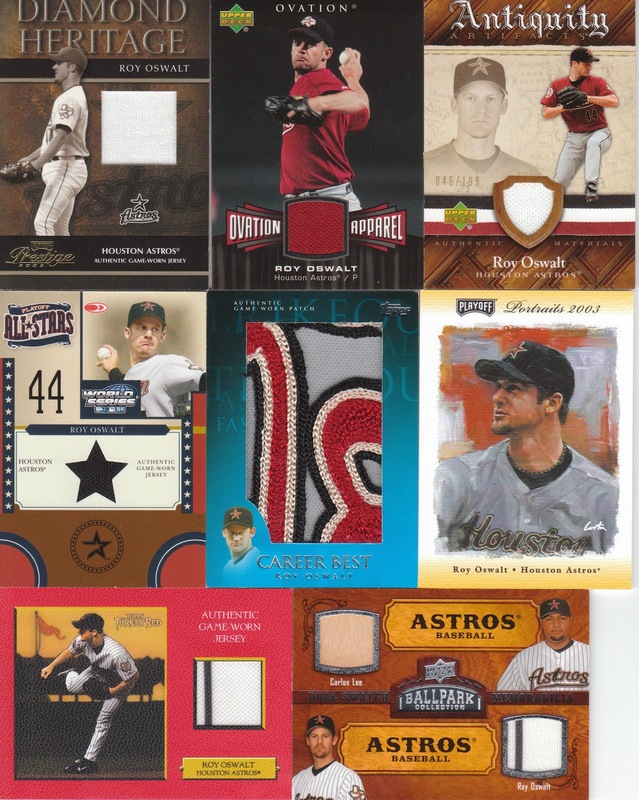 If you want a second slot, you can get a total of 4 teams (2 your choice, 2 random) for $31. If you want more than 2 slots, please e-mail me for a quote. 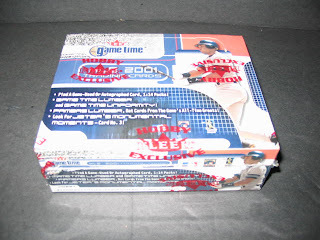 Steve over at Baseball Card Exchange has tons of boxes for sale. Not just baseball either, all sports. Great prices and great rates on shipping. One thing that annoys me about some places is that they like to make $$$ on their shipping charges. 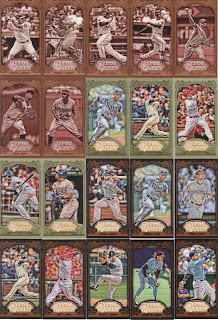 Thanks Steve for being a great sponsor to group break hosts all over the blog-o-sphere! 2004 Topps Bazooka - Lots of entertaining cards here! 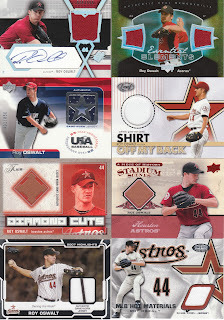 24 Packs and 3 hits per box! 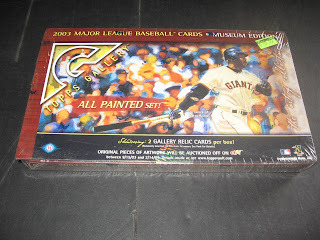 2003 Topps Gallery Museum Edition - A lot like the Playoff Portraits or Masterpieces sets. 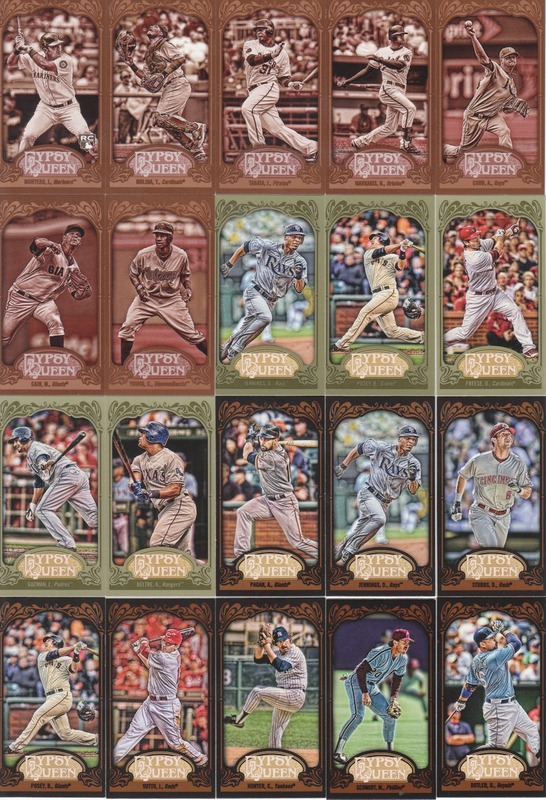 The hand-painted look/feel, plus 2 more hits and a Coin Box Topper insert! 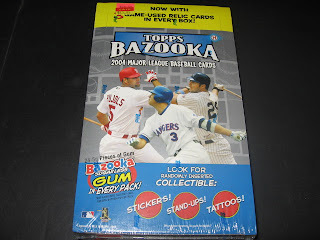 24 packs in this box as well! 2001 Fleer Game Time - A great set for those looking for a Pujols or Ichiro rookie! 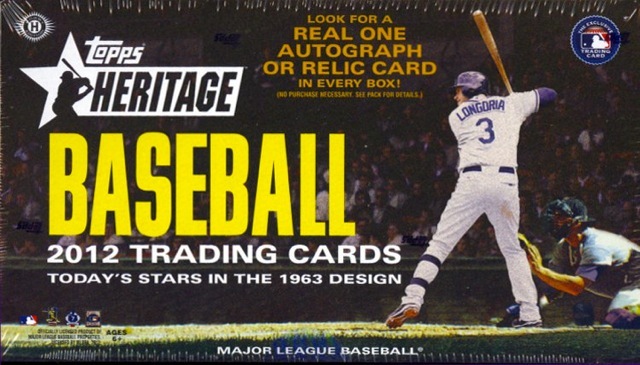 One and possibly 2 hits per box! Some special inserts as well! 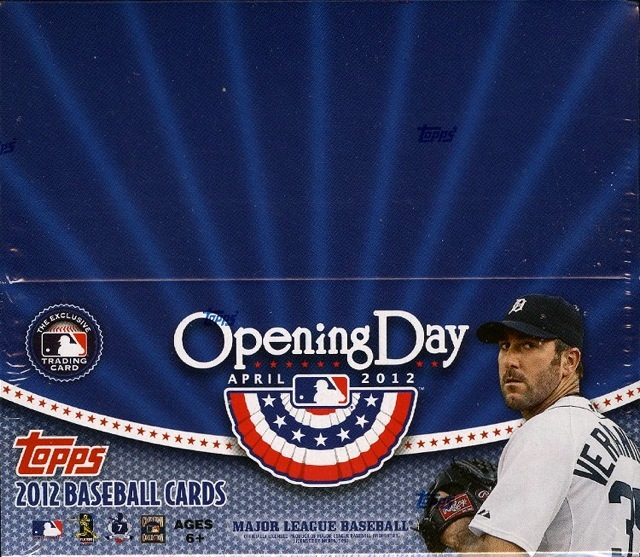 24 packs, 5 cards per pack! 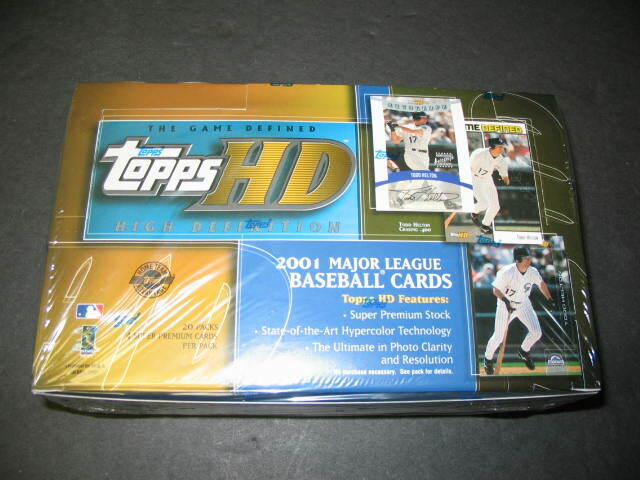 2001 Topps HD - Another 20 packs of awesome photography and thick card stock here! 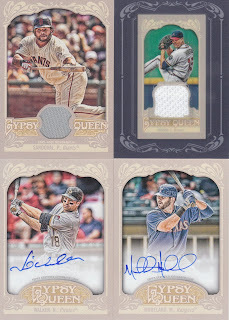 Odds are close to one hit per box! 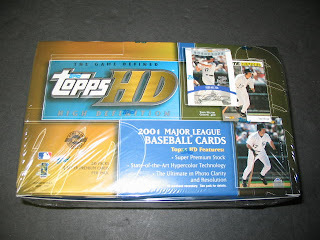 But this is a product you buy for the base cards for sure! 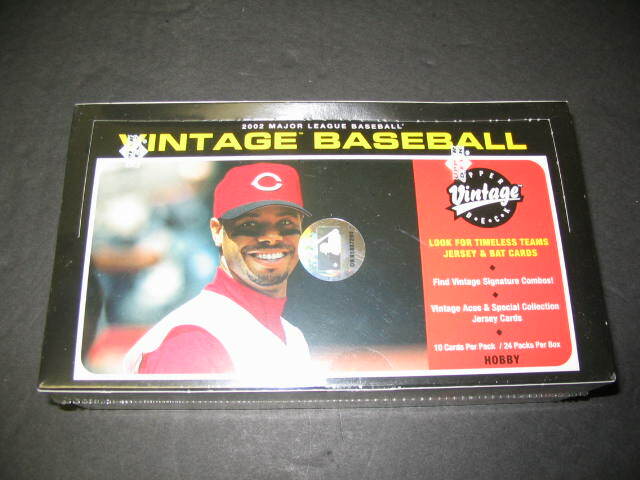 2002 Upper Deck Vintage - 24 packs at 10 cards per pack! Another early 2000's set from UD that I'm a fan of, these cards have the look of vintage cards from days gone by. 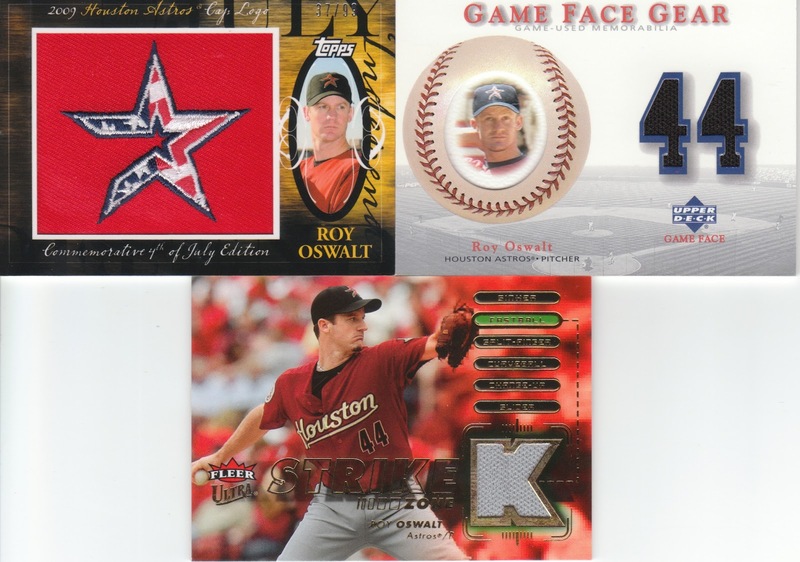 One hit per box on average. Well, I think that's an enticing group of boxes! All multi-player cards will be randomized amongst all teams listed on the card. 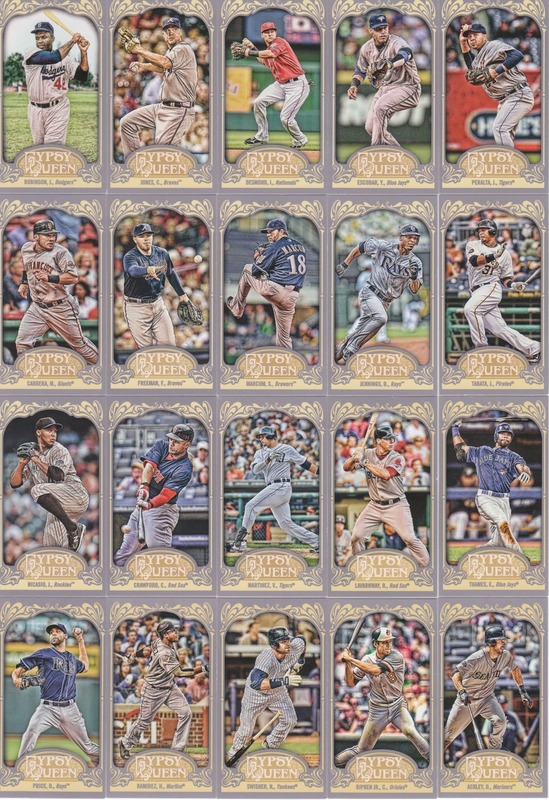 All cards will go to the team listed on the card (not necessarily in the picture, but what team the card company assigned the player to on the front of the card). 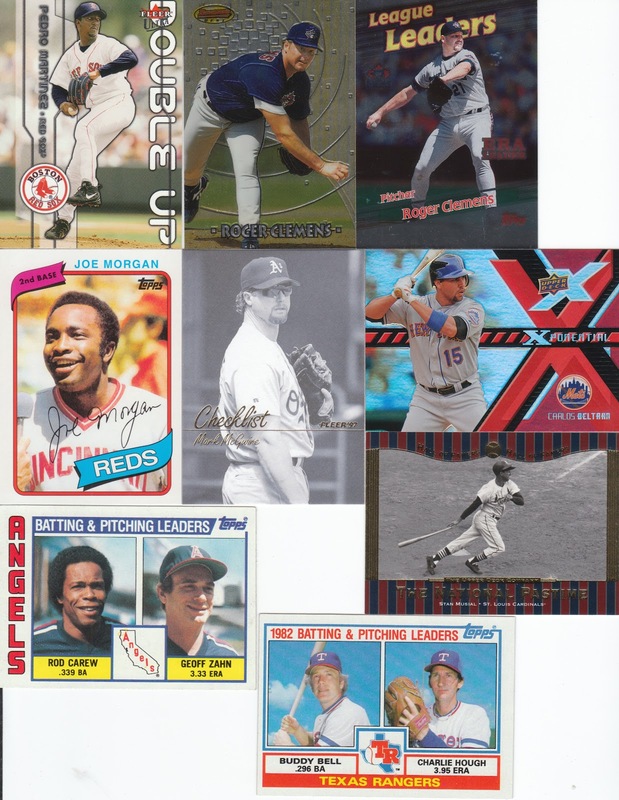 All cards from the Expos will go to the Nationals. Any other teams that have moved will be given to the team which it became. In issues of ambiguity where I am involved, an independent third party blogger will be asked to rule on any ownership issues. 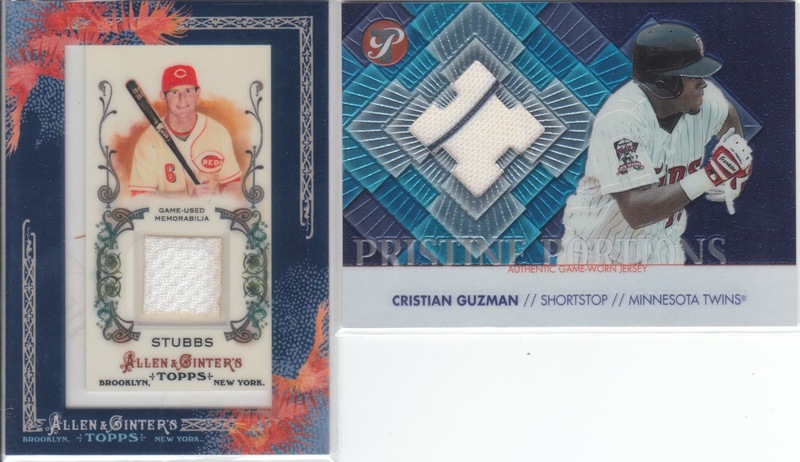 By purchasing a slot in this break, you're agreeing to these rules! Please send payment via paypal (gift please) to samuelpair (at) yahoo (dot) com. Alright, now that I have that out of the way... claim away!